(NaturalNews) Pro-GMO activists would have us believe that genetically modified organisms (GMOs) are 'perfectly safe'. They'll tell us that GMOs make agricultural practices more sustainable; increase crop yields, reduce the use of pesticides, provide more nutritious foods and (my favorite lie) help make farming easier and more profitable. Save a life by exposing the deception. The biotech (chemical) industry is lying to the public every day to make a buck. For example, the herbicide Roundup - created by Monsanto, has been shown to be 1,000 times more toxic than its isolated (active) component glyphosate. Glyphosate damages DNA; causes reproductive problems and cancer. On the next NaturalNews Talk Hour, Jonathan Landsman and Dr. Latham expose the ugly truth about GMOs and the brainwashing techniques behind its 'junk' science. When the biotech industry tells the general public that GM foods are 'perfectly safe' - they deliberately forget to tell us that most of their animal feeding studies on GMOs are less than 3 months in length. And, the reason for this is painfully clear, short-term studies will consistently fail to show chronic health effects like organ failure, cancer or digestive problems. How can we stop this madness? The public must first be educated about the dangers of GMOs. This knowledge will lead to a greater demand for clean foods - which, in turn, takes money away from these evil corporations. Companies like Monsanto will never want to do long-term safety studies - because it would prove (once and for all) that their GMOs are unsafe for human consumption. Would you like to be part of the solution? Then, I urge you to learn more about this topic. The mainstream media will never talk about these issues. Google is making it harder and harder for you to find, on the internet, honest research (or opinion) about these issues. So, it's up to each and every one of us to find better ways to educate ourselves and to help spread the news. This is why I work so hard at creating these weekly 'Talk Hour' programs. On our next show, you'll learn exactly how 'junk' science works toward brainwashing our society and how you can be part of the solution to end the use of GMOs. Agricultural technology companies, like DuPont and Syngenta, continue to market the idea that GMO seeds will reduce the need for toxic chemicals in farming. But, nothing could be further from the truth - especially if you talk to farmers (like I have) who are brave enough to speak out about this topic. For the past few years, we have witnessed the development of weed-resistant crops - which force farmers to spray even more chemicals on their fields to kill the weeds. Obviously, this inefficient way of farming is expensive; damages the environment and threatens human health. But, the chemical companies don't want you to learn about the dangers of GMOs - because there are making HUGE profits off an uneducated population. 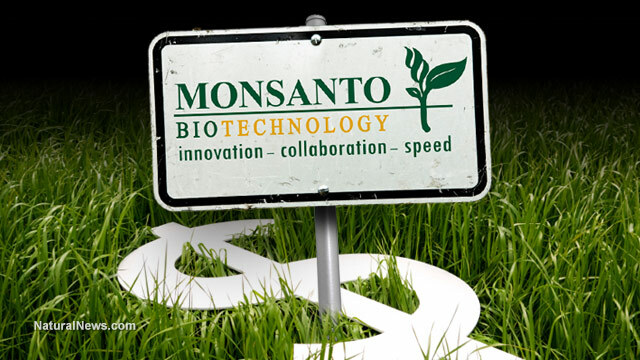 According to a fairly recent market report, published by Transparency Market Research, the global glyphosate herbicide market has been valued at $5.46 billion and they expect the market to grow to $8.79 billion by 2019. It's clear to see: Corporate greed has replaced a respect for life on this planet - especially when you consider that glyphosate, plus many other toxic chemicals, are present in the bloodstream of unborn children. No doubt, we must change our 'modern' farming practices. On the next NaturalNews Talk Hour, you'll hear about the dangers of GMOs - like you've never heard before. Share this news with your family and friends today! Jonathan R Latham, Ph.D. is the Co-founder and Executive Director of the Bioscience Resource Project and Editor of the Independent Science News website. Dr. Latham holds a Master's degree in Crop Genetics and a Ph.D. in Virology. He was subsequently a postdoctoral research associate in the Department of Genetics at the University of Wisconsin, Madison. Prior to heading the Bioscience Resource Project, he published scientific papers in disciplines as diverse as plant ecology, plant virology and genetics. He regularly presents at scientific conferences on papers published by the Bioscience Resource Project and is also a fellow of the 21st Century Trust. Government health agencies and corporation caught lying to the public. Find out why you really can't trust the Food and Drug Administration - ever again; why science has become 'untrustworthy' plus practical ways to improve the health of our society. This is a unique program designed to empower you with lifesaving information.